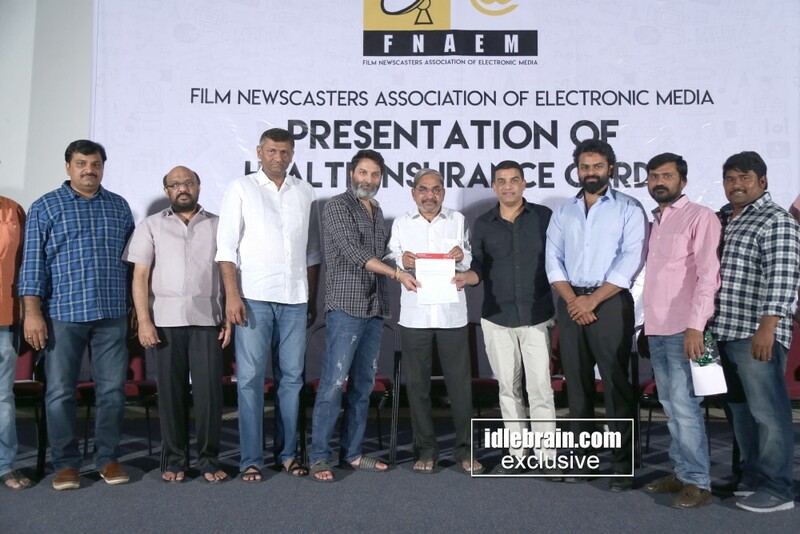 The members of the Film Newscasters Association of Electronic Media were on Monday evening issued health cards and association ID cards at a grand event held in Hyderabad's Prasad Labs. 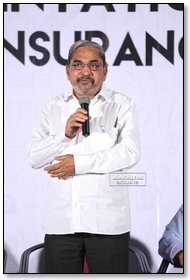 Press Academy Chairman Allam Narayana unveiled the Association's diary. 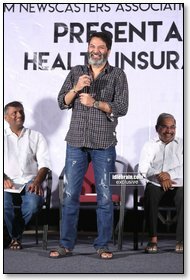 Prominent director and 'Matala Mantrikudu' Trivikram Srinivas unveiled the members' ID cards, while Naveen Erneni of Mythri Movie Makers and Suryadevara Radhakrishna (Chinababu) of Haarika & Hassine Creations unveiled the Term Policy. 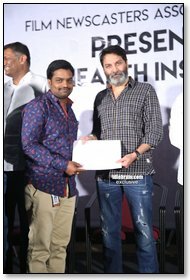 Sai Dharam Tej unveiled the Accidental Policy, while the Medical Policy was released by ace producer Dil Raju of Sri Venkateswara Creations. The new office was introduced by Raghu Prasadam, who had worked as the Association's President in the past. The Association's members will get the following benefits from the Aditya Birla Family Health Insurance: Medical coverage of Rs 3 lakh for the members and their families, accidental insurance of Rs 25 lakh for members, and SBI term policy of Rs 15 lakh. 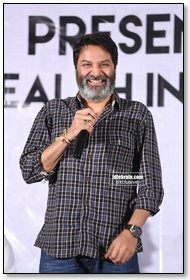 Speaking on the occasion, Raghu Prasadam said, "We started the Association way back in 2004. In recent times, some of our journalist fraternity members incurred medical costs. It made us seriously think of coming up with a scheme like this. The film industry persons have always been helpful. 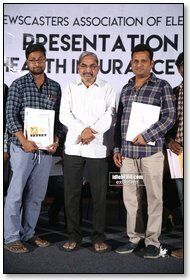 When ETV Satyanarayana garu needed money for treatment, they chipped in with funds. We have elected a new panel to include many more beneficiaries in the scheme. Those who wish to join the Association can apply for membership. We want to serve more and more members. 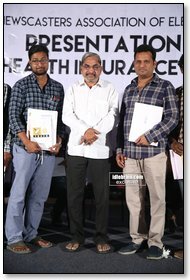 We had first approached the producers at Mythri Movie Makers and Radhakrishna garu of Haarika & Hassine Creations when we planned to launch this scheme. 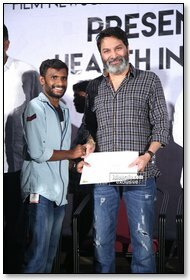 Sai Dharam Tej came to know about our plans and volunteered to be a donor. 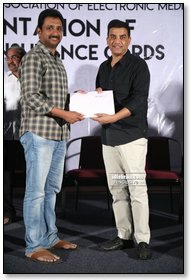 When we went to Dil Raju garu with the proposal, he told us that he will bear the entire costs for the year. He has donated Rs 18 lakh for this year." Ethika Insurance Company's Sunil Aggarwal said, "Behind every insurance claim, there are the emotions of the family members of the patient. We, at insurance companies, deal with people who are in distress. In our country, many people have to depend on friends and families to meet emergency medical costs. If families are insured, it will be a lot of relief to them. This Association's insurance policy is different because it accepts pre-existing health conditions. It doesn't exclude an individual just because he is a diabetic or something. This is unique about the scheme." Surendra Kumar Naidu said, "We couldn't do our best in the past for some reasons. We have come on a platform to better serve our members. We thank one and all who are supporting us in this endeavour. Our Association will also give amount to members whose salary is cut by their employers due to their non-attendance owing to health issues. Those who haven't been inducted needn't think otherwise. We have missed to induct some people due to unavoidable reasons. They will be included once they apply for the second list." 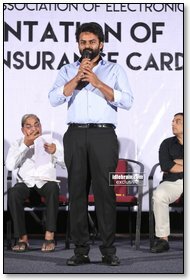 Sai Dharam Tej said, "I am very happy to be a part of this noble initiative. The media people have always been supportive every time. 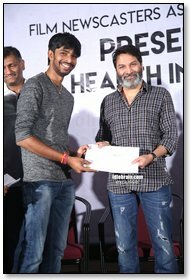 I became a part of this scheme as I wanted to do my bit as an actor." 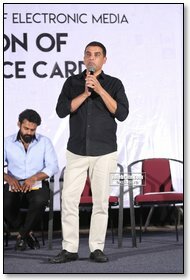 Dil Raju said, "When Raghu and others met me regarding this scheme, I told them that I will support their noble initiative. Many media people here are close to me. I keep meeting them frequently. I am happy to be a donor for their benefit. 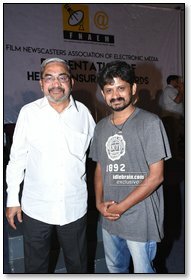 I am happy that my fellow film producers and actor Teju is part of this endeavour. This is just the beginning. Everyone has to be responsible. We are like one family and will always be there for whoever needs help." 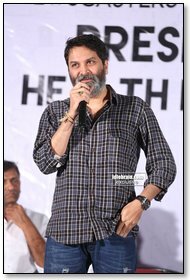 Trivikram Srinivas said, "I know most of the journalists who are here today by their name. I have known them since 'Swayam Varam' days. There is always a need for discipline in the film industry. Things have to be organized in all the 24 crafts. I have always wondered why we don't give much value to people's lives. I am happy that schemes like this one are right-minded. This scheme is a huge responsibility. So much of background work has gone into its making. Just as we filmmakers need to be happy to be able to make movies, film journalists too need to be happy to be able to pen reviews, write news, etc. They can stay unworried only if they are insured. 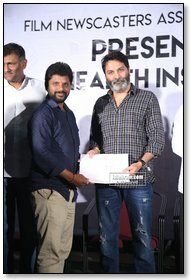 As Dil Raju garu just said, this is just the beginning. With this scheme, every film journalist has the same security as a government employee. We are ready to help the members in any which way possible. May all journalists in India have these kind of benefits." 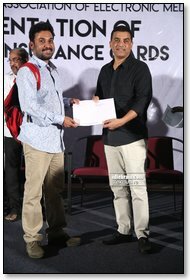 Press Academy Chairman Allam Narayana said, "This is a very good day in the life of film journalists. Journalism is a highly respected profession. Kudos to them who have conceived this highly beneficial insurance scheme. The Telangana Government has been friendly towards journalists. Those journalists who have media accreditation have got health cards. But web media journalists don't have state recognition. The new insurance scheme will benefit them the most. More and more initiatives should be taken up for the welfare of journalists. Once print media journalists too are included, it will be even more complete." 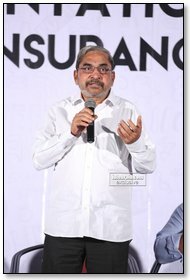 Lakshmi Narayana said, "We have joined hands to reach out to journalists when they are distress. The new committee will always do its best. Health insurance will go a long way in instilling confidence. We had made similar efforts in the past but they didn't come through. We thank all the donors who have made this possible. We have included many new members. Those who are yet to be included will also be inducted soon. We are proud that an event like this is being held for the first time in the last 25 years. When we planned to launch a scheme like this, we approached many insurance companies. But our offers were turned down as Group insurance has not got many takers. Ethika finally gave the nod. It's our wish that nobody will need to apply for insurance. But, God forbid, if they need to take it, we are always there. We film journalists are one. We are not divided but united."